Simple accommodation at Budget prices in prime locality. Hotel Srujana Stay Inn is located in Bagher Complex near Public Gardens in Fateh Maidan area. Hyderabad Deccan Railway Station, Nampally Metro station and Nampally Haj House bus station are located in the vicinity. The hotel rooms have simple but functional decor. The dark wood doors and furniture balance the white walls and bed linen giving an attractive look to the rooms. It has a large seating area too. 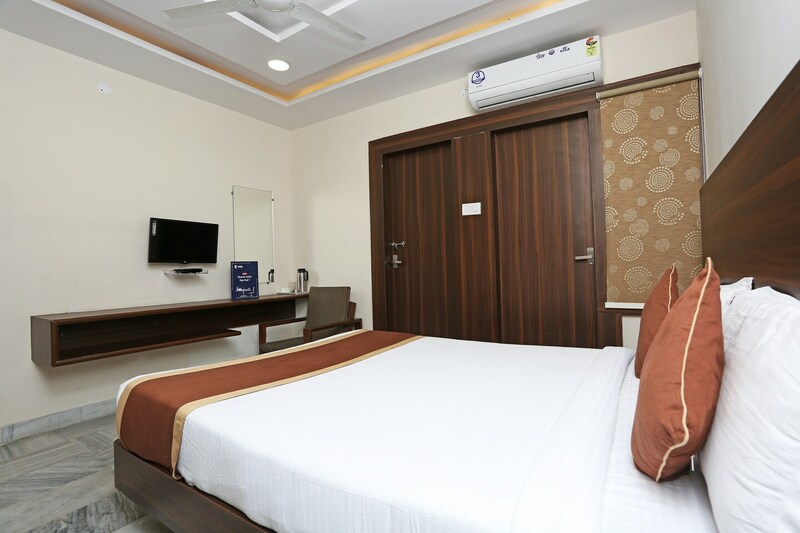 The hotel amenities include Free Wifi, ac, tv, geyser, room heater, parking facility and card payment facility. This hotel is surrounded by Restaurants such as Prem Di Rasoi, Venue Restaurant, Blue Diamond Chinese Restaurant and Grand Hotel and Restaurant which promise a fine dining experience.